Ellipticals offer a great, low-impact form of cardio exercise and can make an excellent addition to your home gym. Before you start shopping though, it’s important to know how to buy an elliptical machine without disappointing yourself. There are a ton of machines on the market today and it can be difficult to find one that will meet your needs. Fortunately, I’m here to help you learn what you should be looking for in a quality elliptical. After reading, you will feel confident in your ability to find an awesome machine for your home gym. We’ve all seen them in the commercial gyms. Lines of treadmills, exercise bikes, and ellipticals. But what makes ellipticals special? Why use an elliptical over a bike or treadmill? These are great questions, let’s get started. Ellipticals are special because they combine the benefits of an exercise bike with the benefits of a treadmill. I look at ellipticals as a cross between a bike and a treadmill (stationary bike + treadmill = elliptical). Maybe not exactly, but let me prove my point. First of all, the biggest benefit of an exercise bike is the fact that it is low impact and gentle on your joints. This low-impact, gentle motion is great for people who suffer from arthritis or have achy joints. Elliptical machines also offer a low-impact form of exercise and the circular pattern of a lot of ellipticals is similar to the motion of an upright bike. 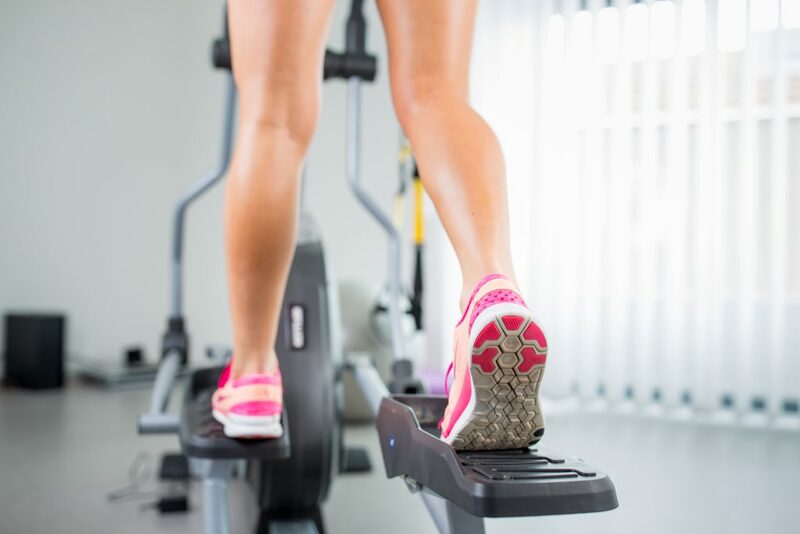 Ellipticals are low impact because your feet are in constant contact with the foot pedals. A large benefit of a treadmill is the fact that it allows you to perform a repetitive, weight bearing exercise over time. We burn a lot more calories when we perform a standing exercise vs a sitting exercise. When we stand, we are activating our core significantly more and our legs have to work harder to control the weight of our body. When more muscles are working (and working harder) at the same time, we burn more calories. So, an elliptical offers us the best of both worlds: it’s low impact AND we perform it standing up. Elliptical machines are gentle on the joints and help us burn more calories than a stationary bike. In my humble opinion, that is what sets ellipticals apart from other cardio equipment. Sure, you can burn a lot more calories running on a treadmill, but running is a high-impact exercise that not all of us can do comfortably. Elliptical machines can also offer a total body workout. By using the moving handles while you pedal, you are working your arms and legs at the same time. This is also going to burn more calories because you are working more of your body at the same time- more muscles working means higher heart rate, which equals more calories and fat being burned (which equals a healthier you). If you want to concentrate on legs, you can hold onto the stationary handles and exercise with the foot pedals only. You could even take your hands off those handles and exercise without holding onto anything- this is a great way to work your core and balance as well. Lastly, but not least, ellipticals offer cardio (aerobic) exercise you can do at home. Cardio exercise is anything you do that raises your heart rate for a prolonged period. According to the American Heart Association, we should aim for at least 30 min of cardio a day, 5 days per week. More is better, and any is better than nothing. Aerobic activity is good for us for many reasons, including decreased blood pressure, decreased cholesterol, improved heart and lung function, weight loss, improved mental health, improved strength, and improved energy levels. Ellipticals provide a great way to achieve these benefits in the comfort of your home. It’s important to have an idea of why you are buying an elliptical before you start comparing models. What are your fitness goals? Are you looking for something to use a couple times a week or will this elliptical be used daily as your primary mode of exercise? Will you be the only user or will there be multiple users? These are a few questions you should be asking yourself right off the bat because the answers can help guide you in the right direction. It’s also important to know what your budget is and what you should realistically expect from a machine in that price range. Price is the first thing we consider when making a purchase, so let’s start there. Let’s face it, budget is the most important factor we all consider when purchasing anything. If budget wasn’t an issue, we would all buy the nicest, most expensive machine and this article would be pretty pointless. Unfortunately, we live in the real world. We have to decide whether or not it’s worth paying a little more here or there for extra features. If your budget is tight enough, you may know exactly what price range you HAVE to stay in, that’s ok. There are many, many options in every price range. $500 and below- these are the budget ellipticals and can vary greatly in quality and features provided; generally speaking, these machines have shorter stride lengths, lower weight capacities, poor warranties, and minimal smart features. Some may offer heart rate monitoring. These machines are typically smaller and more portable. 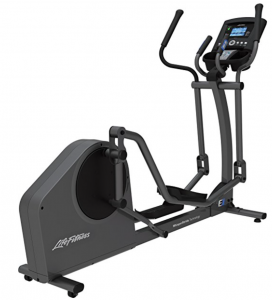 $500 – $1500- these are the mid-range ellipticals and you should expect more durable frames, higher weight capacities, larger stride lengths, better warranties, and more advanced consoles.This is a large range in price and you may notice big differences in the machines found in this budget. $1500 and above- these are the high-end ellipticals. If you are looking for the feel of a club elliptical, this price range is where you can find it. These are the most comfortable, natural feeling machines available. Expect more durable frames with better warranties, advanced consoles with bluetooth capabilities, and advanced features such as power inclines. These machines should be quiet and heavy duty. There are great machines in each price category, so don’t worry if you find yourself in the lowest price range. I just don’t want you to have unrealistic expectations- budget ellipticals are not going to feel like the elliptical you used at the local gym. They are small and have limited features. You can get a great workout on them, but just know it’s not going to be the comfortable ride you had at the gym. Mid- and higher-end ellipticals will provide a much more comfortable ride. This is largely due to stride length. Stride length is probably the most important aspect that affects the feel of an elliptical. Stride length is how far your feet are allowed to move apart (front to back) during use. Larger is always better, especially if you are 6′ or taller. Nice ellipticals have a 20″ stride length. This is what most commercial grade machines have because it has been shown to comfortably fit roughly 95% of users. Stride lengths less than 16 ” are probably going to be uncomfortable and feel less natural. If you are 5’3″ or shorter, it may be fine, but most of us will feel cramped. Budget ellipticals typically offer stride lengths in the 11-17″ range. Mid- to high-end ellipticals will have 19-20″ stride lengths. This is one reason why more expensive machines feel more comfortable to use. The size of the machine is another very important consideration. You should always measure out your space in your home and know exactly how much room you have. Budget machines are more compact, some even fold. They are easy to move because they weight less and may have transport wheels. Small ellipticals can fit in a space roughly 4 feet long by 2.5 ft wide- this is a pretty small space. Larger machines will need a space roughly 7 feet long by 3 feet wide to comfortably use. Ceiling height is an important aspect many buyers forget to consider. If you have 7 or 8 foot ceilings, you may have to do a little math to make sure you are ok- well, that is if you are over 6′ tall. You should check the specs for the machine you are interested in, but a good estimation is to add 20 inches to your height and this is typically the highest point your head will be during use. Always, always, always check the weight limit on an elliptical you are considering! Not only do you need to make sure you are safe to use it, but weight capacity is a direct measure of a machine’s durability. Higher weight capacities mean sturdier frames and more durable ellipticals. Weight capacity tends to go higher as you work your way up the price categories. Budget machines may have weight limits in the 220-250 lb range. Mid-range ellipticals are more in the 250-300 lb range. High-end machines can range between 300-400 lb easily. Warranties offer peace of mind when purchasing fitness equipment. Nicer ellipticals will offer lifetime warranties on the frame, 3-5 year warranties on parts and electronics. Budget ellipticals may offer no warranty, but many will offer a few years on frame, 90 days on parts and labor. Different machines offer different numbers of resistance levels and pre-programmed workouts. Often the budget ellipticals will offer fewer levels of resistance, but there are exceptions to the rule. Many cheaper machines will offer 8 levels of resistance, many more expensive machines will offer 12-20 levels of resistance. Something to consider, more isn’t necessarily better. Most budget machines won’t offer pre-programmed workouts. Mid- and high-end ellipticals will. Again, the number varies greatly from 8-40 and more isn’t necessarily better. With 40 workouts, do you think there is really a big difference between a lot of them? Are pre-programmed workouts that important to you anyway? A nice machine with plenty of resistance levels and power incline may only offer 10 workouts, but offers so much control you won’t need them. Workout programs include interval, weight loss, cardio, heart rate, to name a few. Some machines have custom workouts, others allow you to save inputs with different user ids. All good stuff to consider when comparing machines. Flywheel weight is something to consider when comparing models, but not necessarily a deal breaker. Typically speaking, heavier flywheels are preferred because they equate to smoother operation. Flywheel weights can range from 13-20+ pounds. Unfortunately, flywheel weights can be hard to find. A lot of ellipticals don’t advertise their flywheels weights (especially the budget machines). Ellipticals with impressive flywheels will advertise this, but you may have to contact the manufacturer to find out. Heart rate monitors- most mid- and high-end ellipticals offer grip heart rate monitors and some are compatible with chest straps (some have chest straps included). A few budget ellipticals also offer heart rate monitors. Speakers- mid- and high-end ellipticals often have speakers built in, although some of the nicest ellipticals do not. This feature may not be that important since a lot of us use our mp3 players, but you may enjoy it. Some speakers can connect to your smart phone through bluetooth. Inclines– I mentioned inclines a little earlier, but some ellipticals allow you to change the incline angle electronically from the console. Inclines differ from machine to machine and they are typically found on the nicer models. Budget ellipticals rarely offer incline settings. Now you should feel confident in your ability to find the right elliptical for your home gym. You know what to expect from each price range and you know what features you should consider. It’s important to think about the above features and decide which ones are important to you and which ones aren’t. The features included can vary greatly, even when comparing machines within the same price bracket, so knowing which features you want will help you make your decision. Most importantly, find an elliptical that fits your budget and your space. If you consider all of these features when comparing ellipticals, I’m confident you will be happy with your choice. Remember, and educated consumer is a happy consumer. If you are ready to learn about the best ellipticals currently on the market, click below.